After another week of suffering with chronic pain, the Christmas lights on our tree didn’t seem to twinkle as bright as I thought they should. I recounted the year I’d spent battling health issues, dealing with broken relationships, praying for hurting loved ones, and wondering how God would meet our financial needs when the numbers didn’t seem to add up. I focused on the unpredictable waves of my circumstances and sank deeper into discontent, discouragement, and despair. 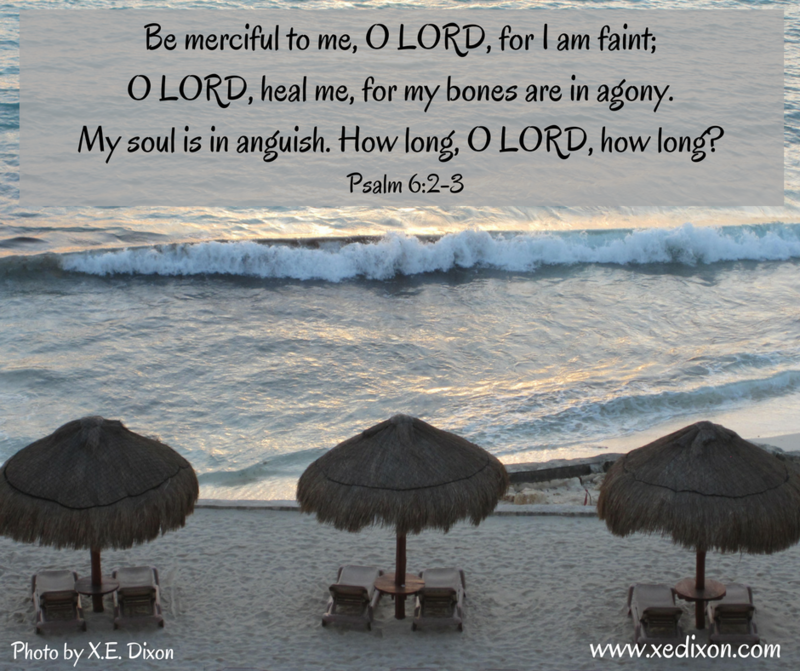 My weary heart begged for deliverance, a breakthrough, or at least a break. During a fuss-my-way-to-submission prayer, I asked God to forgive me for succumbing to pessimism. 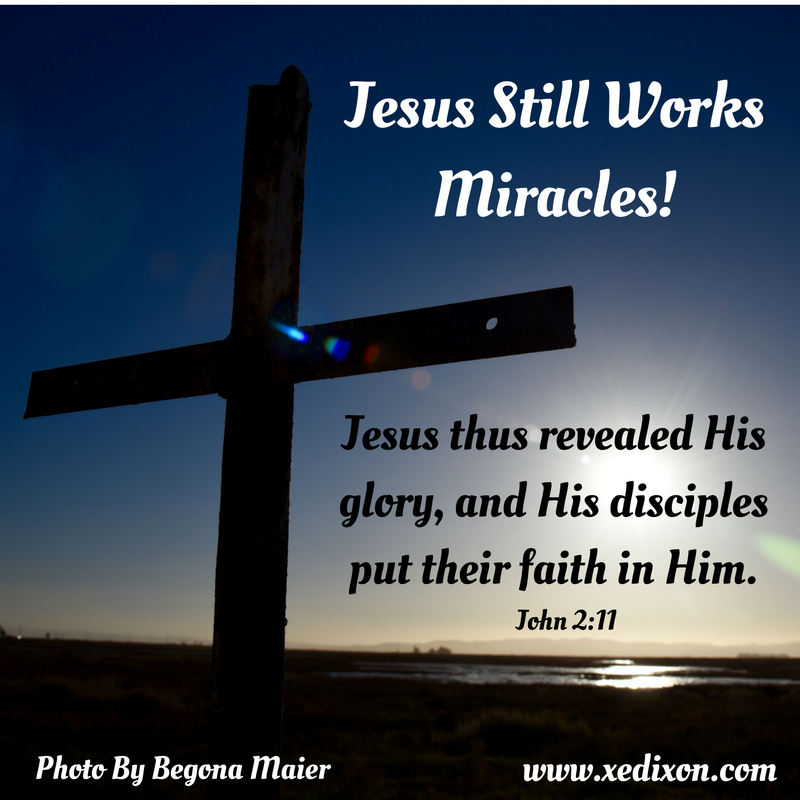 I needed a miracle to shift my attitude, so I went to the source of my hope−Jesus. As I read the historical account of the Lord’s first miracle−turning water into wine at the wedding in Cana−its familiarity tempted me to skim through the God-breathed verses. I almost missed the five faith-building truths revealed in the details. Mary’s response resounded with assurance when Jesus denied her request. She could have demanded her way or fussed about His answer. Instead, she accepted His words and trusted Him to do what He thought best. Confidence blanketed her tone as she encouraged the servants to simply obey Jesus. Jesus chose to use the six common water jars that were already being used at the banquet. He transformed plain water into high quality wine. He invited the servants to witness His power in the middle of their average work day. Through this miracle in the midst of the mundane, the Lord blessed the unspectacular servants who were willing to trust and believe. When the servants followed Jesus’s instructions, they claimed front row seats to witness His power in action. Their quick submission displayed a willingness to believe in Jesus. They obeyed and waited expectantly. They didn’t try to figure out what Jesus would do, or tell Him what they thought He should do. They simply followed His instructions and remained at the ready. And they weren’t disappointed. The master of the banquet failed to recognize the miracle that happened right before his eyes. I don’t judge him, because I know how easy it is to minimize the wondrous works God accomplishes through prayer closets. I know how easy it is to ignore the extraordinary moments God shows up in the ordinary days that make up the transformed life of a Christ follower. Those intimate exchanges when the Lord intervenes in our lives don’t often make the front page news, but each one is a miracle of His power, His love, His mercy, and His grace. The disciples placed their faith in Jesus when He demonstrated His glory, His majesty, His splendor, His divine might in action. They didn’t demean the Lord by placing expectations on Him. Instead, they encountered His majesty face-to-face and responded by making life-transforming decisions to trust Him by following Him in bold faith. Though the Messiah’s first miracle wasn’t a life-shattering or life-altering event, we tend to expect modern day miracles to be extravagant displays of His power. Through our trials and through the moments when things are going so well that we’re tempted to be bored or ungrateful for God’s peace and provision, we can be sure the Lord intentionally orchestrates events according to His perfect plan. He knows how we’ll respond in our given circumstances and is ready to use those responses for His eternal glory. Even when we refuse to acknowledge Him, the Creator of the world, Almighty King and Savior, Redeemer and Provider, our Deliverer and Good Shepherd invites us to accept His love and forgiveness. The miracle of Jesus didn’t start or end in a manger. From the beginning of time, Jesus was and is and always will be Emmanuel−God with us. No matter what our current circumstances may be, our Lord Jesus Christ remains constantly present and consistently involved in our lives−that is and always will be a miracle worth celebrating on Christmas and every day. Lord, thank You for the opportunity to celebrate You this Christmas. Please help us recognize Your fingerprints evidencing Your work in our lives. Give us confidence in Your abilities, as You empower us to trust Your motives. Please help us live with courageous obedience to Your Word, as we wait expectantly to see Your miraculous works in and through the ordinary days of our lives. In Jesus’s name, Amen. How have you seen God miraculously working in and through your life over the last year? Photo taken by and used with permission from Begona Maier. When I first heard, I mean really heard, the Gospel, I responded with tears. Accustomed to feeling unworthy and unlovable, I struggled to believe that Jesus, God in the flesh, died for me. Why would He give His life as an atonement for my sin, as payment for the sins I once wore like badges of honor? Why would God want to forgive me for sins I tried to deny or hide, sins I intentionally committed in an effort to escape personal pain? I had a hard time understanding or believing that God would willingly and completely release me from the chains of guilt if I genuinely expressed remorse over my sin and asked for His forgiveness. I played tug-of-war with the concept of atonement and feared the reality of substitution. Why would Jesus choose to die on the cross, willingly serving as my substitute to pay for the sins I was responsible for? Why would the only One who knew no sin, the One who never committed a sin, take the punishment for my sin and endure the agony of separation from the Father? Because of His limitless love for me. This simple answer boggled my mind. 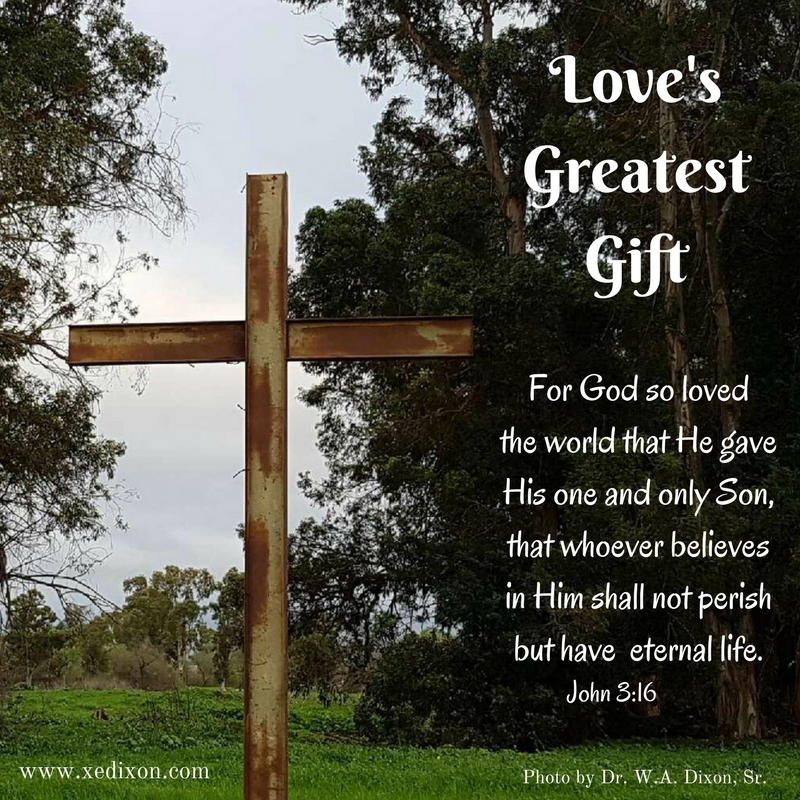 Could it be that Christ’s great act of sacrificial love was planned from the beginning, declared in the Old Testament, revealed through the New Testament, and experienced every day on this side of eternity within the lives of Christ followers past and present and future? Still, I battled doubt as the Holy Spirit continued to massage out the kinks of my imperfections. I minimized the personal and sacrificial cost Jesus paid when He surrendered His life to save mine, by keeping a tally of accomplishments, failures, and sins as if they determined the measure of my worth. Christ’s death on the cross and His resurrection made complete forgiveness and freedom from sin possible. Despite the ongoing war with our sin nature, God places wings of freedom within our reach. Will we accept His offering, knowing we could never deserve or earn such a gift? This abundant life of freedom begins the moment we profess Christ as our personal Lord, our Ruler, our Authority. But will we have the courage to shrug off the comfort of complacency and the lies that keep us knee-deep in trying to prove ourselves or make ourselves feel good enough? Through prayerful study of Scripture comes the knowledge of God. 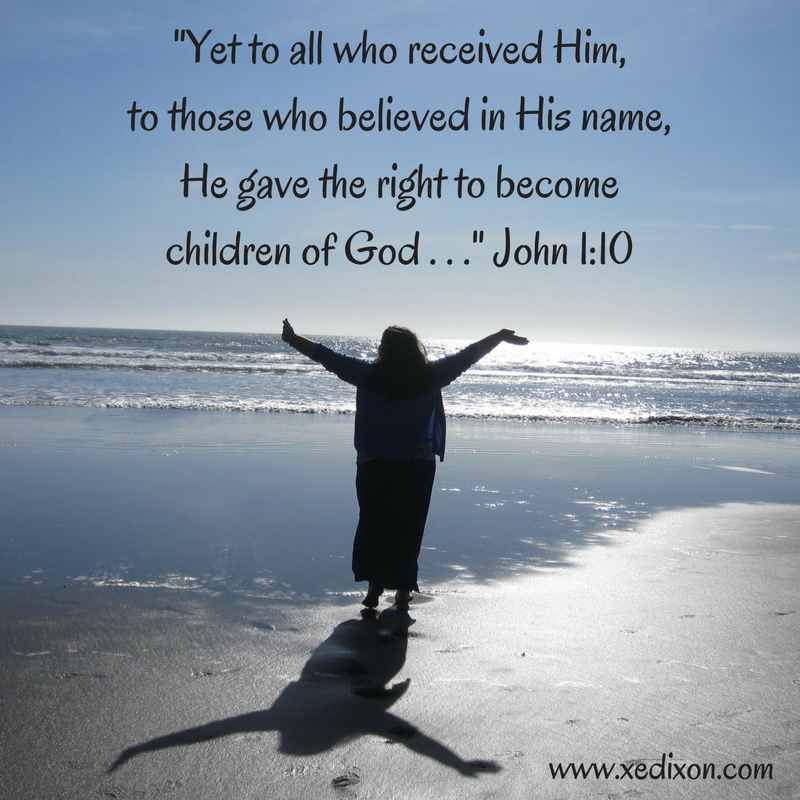 Through personal acceptance of Jesus as Lord comes the freedom of God. And through the indwelling of the Holy Spirit comes a life with full access to the power of God. Every follower of Christ has this power, though many of us haven’t learned to access the power of His sweet Holy Spirit. Though we’ve been pardoned, some of us continue to spar with guilt and shame when we think about our past sins or struggle with our present capacity to sin. Though we’ve been cleansed, some of us wear cloaks of condemnation placed on our backs by ourselves and others, instead of accepting what Christ has done as completely final and intimately personal. When Jesus declared His work on the cross as finished (teleō), He meant completed, fulfilled, accomplished, d-o-n-e, done. The gifts of God’s grace and forgiveness are not passes to continue in our sin (1 John 2:1-6), yet it often feels easier to cling to excuses and wave the banner of weakness and timidity. Will we struggle with sin? Yes. But we are no longer slaves to sin. Period. 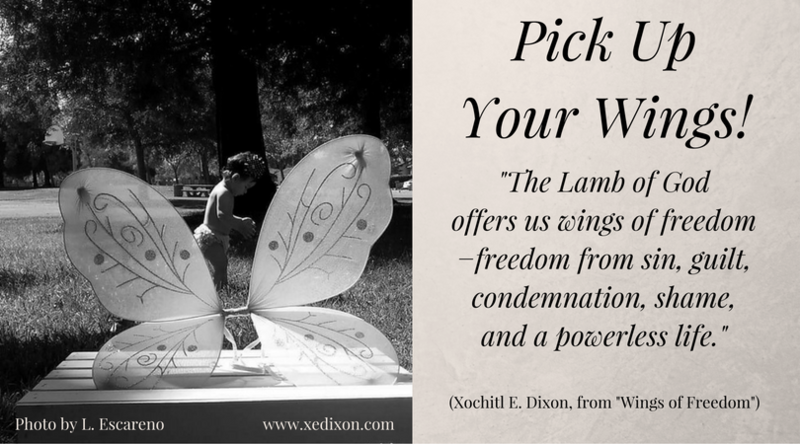 The Lamb of God offers us wings of freedom−freedom from sin, guilt, condemnation, shame, and a powerless life. His loving sacrifice frees us to become all He created us to be in Him and for Him. Yes, we’ll experience tough times and even want to quit. Sure, we’ll fall short, slip up, and wonder why we even bother trying. But that’s the key! When we’re focused on ourselves, we tend to draw from our own power, our own strength, our own wisdom, our own courage. As we steady our focus on Jesus, we can recognize our complete dependence on His power and ask Him to help us live in full surrender to His Spirit. Surrendered prayers are seasoned with desperation. Lord, I need You. I can’t do this without You. Be my strength. Show me the way. Give me the courage to follow You. Help me trust You. I believe You, Lord! Help me with my unbelief! These are the prayers I want bursting from my heart and out of my mouth, to slide down my cheeks as words escape me as easily as my tears. Are you slipping into sin because it feels easier to give up than risk failure? Are you damaging current relationships because you can’t let go of sinful behaviors you practiced in past relationships? What hinders you from receiving the wings of freedom offered by the glorious Lamb of God? Thanks for joining me for this week’s installment of “Meeting Jesus Face-to-Face in the Gospel of John.” If you don’t know Jesus, yet, or if you want to know Him and trust Him more, I encourage you to join me next week for “Come and See,” asking God to meet us where we are and transform us from head to heart. Over the years, I’ve been learning there’s a huge difference between believing in God and living like I believe God. This truth has reached a too-close-for-comfort personal level during my healing journey. There have been days when dealing with the physical or emotional pain and battling frustration, discouragement, fears, and doubt felt unbearable. There have been days when my attitude and my response to life’s circumstances have been less than desirable, and far from godly. I’m choosing to surrender to Jesus because I’ve been given a glimpse of His glory, His goodness and His grace. I’m choosing to submit to Him because I know I can’t save myself, change myself, or carry myself through times of suffering or affliction. But I can’t depend on Christ, I can’t know Him or love Him or obey Him, if I haven’t received Him as my personal Lord and Savior first. The Bible tells us simply believing that Jesus is God isn’t enough. During Jesus’s earthly ministry, the demons recognized Jesus and knew the magnitude of His power. Though they did not honor Him as their personal Lord, they couldn’t deny or escape His might or authority. Believing in God the Father is an important step. Believing in God the Son is a vital step that can’t be skipped. But God requires and offers so much more when He invites believers into a personal relationship through the Person of Christ, not the concept of a Savior, by the power of the Spirit. When we simply stop at believing, we can unintentionally settle for lives stunted by the habit of walking by half-faith. This is not a new obstacle faced by God’s people. The Old Testament Jews believed in the promise of the Messiah and fully expected God’s prophecies to be fulfilled. The religious leaders boasted about their pious lives. Strict in tradition and ceremony, they diligently memorized and espoused the Law. One would think their knowledge of God would have increased their ability to recognize and submit to the promised Messiah. God enabled some of the Pharisees to acknowledge how Jesus fulfilled the Old Testament prophecies. But believing Jesus was the Messiah wasn’t enough then and it’s not enough now. Many self-proclaimed Christians, who truly believe in God and acknowledge Jesus is God in the flesh and Savior of the world, haven’t received Jesus as their personal Lord and Savior and aren’t living as people who’ve been given the power of the Holy Spirit. If we miss the crucial step from believing to receiving, we can become modern day Pharisees. It’s dangerously possible to believe in God and not know Him, to serve in ministries faithfully while remaining self-reliant, self-centered, and self-serving. When Jesus is our personal Lord, He is the only One allowed to rule, which means we ask Him to empower us to obey Him not our fleshly desires. When Jesus is our personal Savior, we acknowledge He is the only One capable of saving us, which means we depend on God’s power, not will power or self-help. Total dependence on and surrender to God does not mean we won’t struggle or suffer on this side of eternity. The Lord knows our flesh is prone to wandering onto the path of pride, disobedience, and self-indulgence. He knows we’ll be tempted to insist on relief from pain or hardship. He knows we’re vulnerable to physical and mental sicknesses. He knows we’re susceptible to returning to the shackles of sin. Our many weaknesses only confirm our desperate need for our perfect Savior. When we believe in Jesus, we’re given the gift of the Holy Spirit. But we have to personally receive the Holy Spirit in order for us to be empowered by Him. We access God’s power by asking to receive His power and believing we’ll receive His power to obey His Word. My healing journey has helped me grasp this concept on a more personal level. I can believe the medicine my doctor gives me works. But if I refuse to take that medicine into my body and follow the instructions the physician orders, the medicine can’t do what it was designed to do. I can believe God exists and even believe His plan is perfect and His power is limitless. But I don’t have the ability to live like I believe His words, His love, His grace, and His promises are meant for me personally if I don’t receive His Spirit. 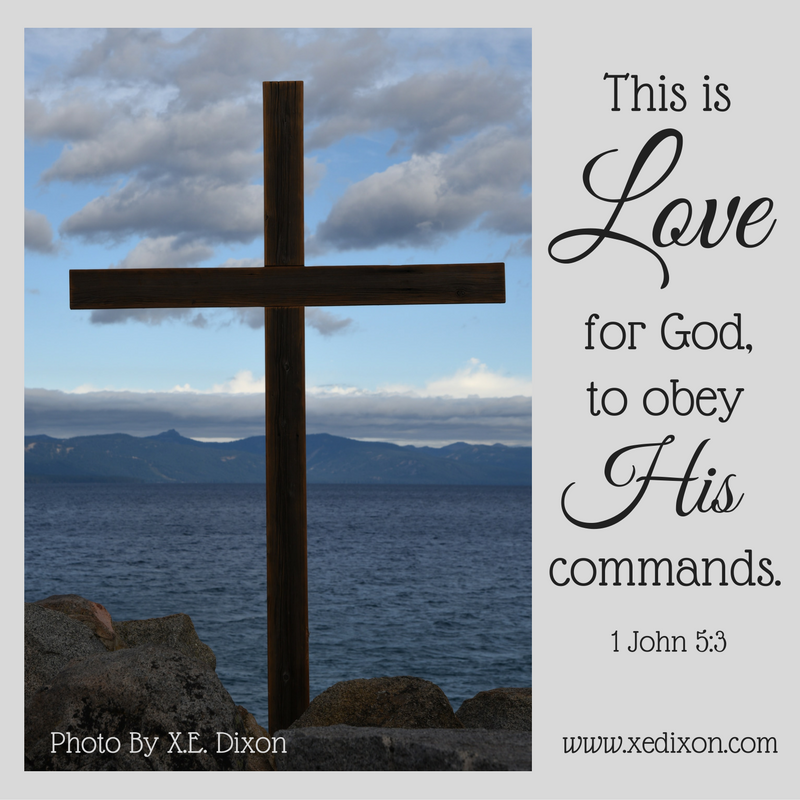 I must submit and surrender to the Holy Spirit if I’m going to allow Him to help me follow His instructions. Here’s the catch. I can’t submit or surrender to Him in my own strength. So, I ask Him to help me do this on a daily basis, sometimes on an hourly basis. Believing begins with the knowledge of the facts transformed to faith through the power of the Holy Spirit. Receiving is a commitment to an ongoing love dance with the Holy Spirit, letting Him lead as He enables us to live for God no matter how costly the personal stakes. God remains true to His faithfulness, even when our humanity proves us faulty. All we have to do is ask and He’ll help us believe and receive Him. But we can’t skip the step of receiving God’s power through the Holy Spirit, if we want to live in accordance to His will and trust Him to keep His Word, because He enables us to understand and believe that His Word is infallible. Reflection: In what ways have you been blessed when you allowed the Holy Spirit to transform you, empower you, and deepen your faith in God during difficult times? Thanks for joining me for this week’s installment of “Meeting Jesus Face-to-Face in the Gospel of John.” If you don’t know Jesus, yet, or if you want to know Him and trust Him more, I encourage you to join me next week for “The Law in Jesus’ Hands,” asking God to meet us where we are and transform us from head to heart. I’d done it again. I’d failed to be a good witness testifying about “the Light” who had given me a new life, a life that proved no one was out of God’s loving reach. Why should God keep welcoming me into His grace when I couldn’t always tame my ornery tongue? Why should the Lord give me more opportunities to serve Him when I struggled with controlling my temper, holding onto bitterness or unforgiveness, or slipping into old sinful attitudes? Why? Because receiving God’s love and grace don’t depend on my earning ability. I’m not the one people are supposed to be focused on. I’m not the one who began God’s good work in me. I certainly can’t be trusted with the ongoing process of changing my life so that I will reflect Christ. I can’t change myself, or anyone else. This truth becomes more evident and freeing the more I learn about God’s incredible love and grace, the more I surrender to His Spirit, and the more my Life Changer corrects my thinking and surprises me by helping me obey Him, a little bit more each day, even when my first response is to be stubborn, selfish, or self-reliant. Determined to give God glory for what He’s done and is doing in and through my life, I long to point to Him without trying to run away from the testimony He’s given me, without trying to hide my failings or deny my weaknesses. I have a new life in Christ and I want the world to know His hope is accessible to all who believe, all who repent and turn away from sin, all who confess Jesus as their personal Lord and Savior. As I ask God to help me be a bold witness for Christ, I look to the apostle John who shares the story about John the Baptist, a man chosen and devoted to pointing people to Christ, the Messiah. When I think of witnesses, I picture people who see something and share the details of what they saw with others. But the Greek word used in this verse is the same word from which martyr is derived. Martyria is a noun that means testimony and evidence. In this New Testament context, to be a witness to the Light seems to require a personal encounter and sacrifice, not a second-hand description of an event that doesn’t impact the storyteller on an intimate level. It’s clear John the Baptist had a defined purpose, too, a purpose shared by all followers of Christ. 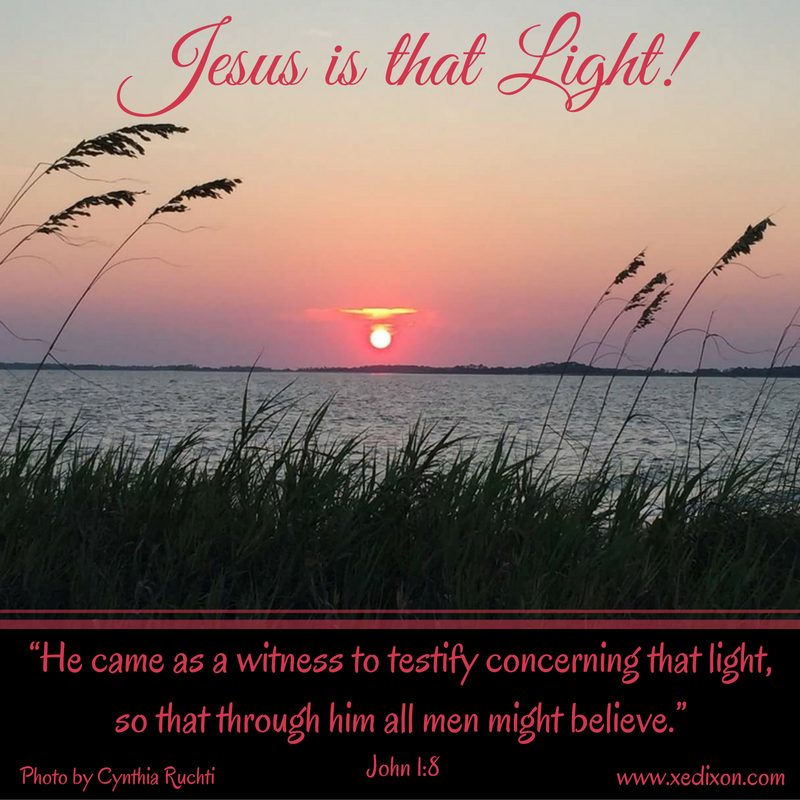 He testified “concerning the light, so that through him all might believe” (John 1:7, emphasis mine). The Greek word used in John 1:7 incites a deep commitment. Pisteuō means “to put one’s faith in, to trust with an implication that actions based on that trust may follow” (Strongest NIV Exhaustive Concordance, emphasis mine). Christ followers are called to action, to live like we believe what God says in His Holy Word. 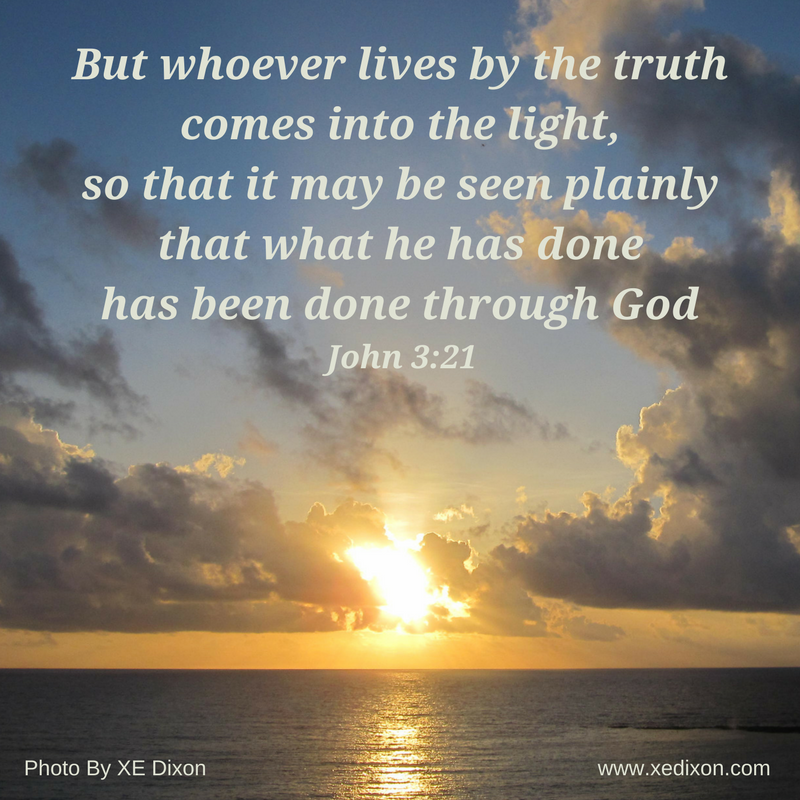 But first, we must personally submit to the authority of the “true light that gives light to every man” (John 1:8). The moment we profess Jesus as Lord, repent and turn away from our sins, and receive Christ as our personal Lord and Savior, every believer is given the gift of the Holy Spirit. Through Him, we will be able to live by the power of the Spirit and attest to the Light, who is and always will be Jesus. Unfortunately, we often choose not to tap into God’s power in us. It feels less risky, less weird, and certainly more acceptable and comfortable to rely on our own strength instead of God’s supernatural strength. It seems more reasonable to muster up our will power and try to make changes in our thinking patterns, or to make better choices. But eliciting our own life-transformation sabotages our relationship with God by sucking us into an insane cycle of self-destruction, aka self-help. That crazy-train-to-nowhere-good thinking deceives us into believing we have the power to change ourselves by ourselves, if only we just try harder or work smarter, if only we muster up more than one mustard seed of faith, if only we use the “right words” in prayer or surround ourselves with the right people. But when we admit the depth of our need for Christ, not just for the promise of eternal life but to live as His ambassadors and join His work each and every day on this side of eternity, we can invite Him to change us forever. The Holy Spirit will help us trust God’s unchanging character, so that we can believe every God-breathed Word of Scripture taken within the context of His whole story. Faith sprouts from our testimony, as we boldly share evidence of God’s grace in our lives, proof that we can be confident in God’s abilities, motives, faithfulness, and boundless love for us. When we bow down in reverence to our Lord, admitting our weaknesses and accepting our total dependence on Him, He is the One who raises us up. He cinches us to hope in this world until we meet Him face-to-face in eternity. Through the Holy Spirit’s life-transforming power, we can submit to Him with loving obedience and live as His witnesses, His representatives, His worshippers, His servants, and His beloved children. We can keep right on pointing to Jesus, grateful that our salvation and our success as His witnesses are not dependent on our strengths or weaknesses, but on His power, His goodness, and His endless love and grace. Lord, thank You for assuring us that we can’t possibly do Your job. Please help us allow You to be our Savior, instead of trying to save ourselves or others. Help us share the ways You’re working in and through the ordinary and extraordinary moments that make up our testimony, so that You can magnify the power of Your Holy Name. Thank You for the peace and hope that come from knowing we can do nothing apart from You. In Jesus’ name, Amen. Why is it is sometimes difficult to admit our total need for Christ? How has God used someone else’s testimony to help you believe in Him and His life-changing power? Thanks for joining me for this week’s installment of “Meeting Jesus Face-to-Face in the Gospel of John.” If you don’t know Jesus, yet, or if you want to know Him and trust Him more, I encourage you to join me next week for “Believing and Receiving.” Together, we can continue to ask God to meet us where we are and transform us from head to heart. MEME created by Xochitl E. Dixon with photo taken by and used with permission by author and speaker Cynthia Ruchti. 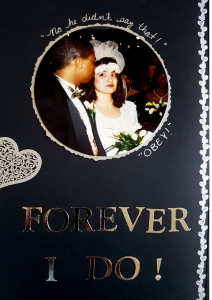 Tears streaked my cheeks as my husband drove me home. I tuned out his words of encouragement, struggling to swallow the discussion we’d just had with my doctor. 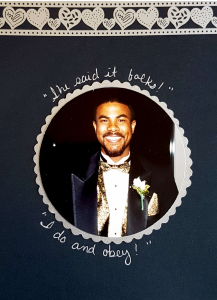 Slipping deeper into a pit of discouragement, I offered my spouse a chance to opt out. He hadn’t signed up for a lifetime of caregiving. And that’s exactly what I could be facing. Four years after my doctor diagnosed an injury in my upper thoracic back that originally occurred in 1992, years of over compensation resulted in damage to both shoulders and my neck. After multiple procedures and multiple “second opinions,” the doctors suggested a string of procedures to help manage pain. Nothing more, at this time. Though my mobility has improved over the last four years, and I’m able to serve God through writing (Hallelujah! ), during that drive home my hope lost its foundation. I focused on dashed hopes for a cure, the risks in surgery outweighing the possibility of relief, facing the fact that this could be my life. My husband comforted me until he had to leave for work, leaving me alone to process the stages of grief. I processed like a psalmist. I cried, pouted, pleaded for mercy. I asked God why, how long, and even begged Him to take me home. I continued to throw a hissy fit, snuggling up with self-pity and drowning in despair. But by His wonderful grace, the Lord waited patiently. The Holy Spirit tugged on my heart, gently turning my focus from the god of comfort to my God and Creator. 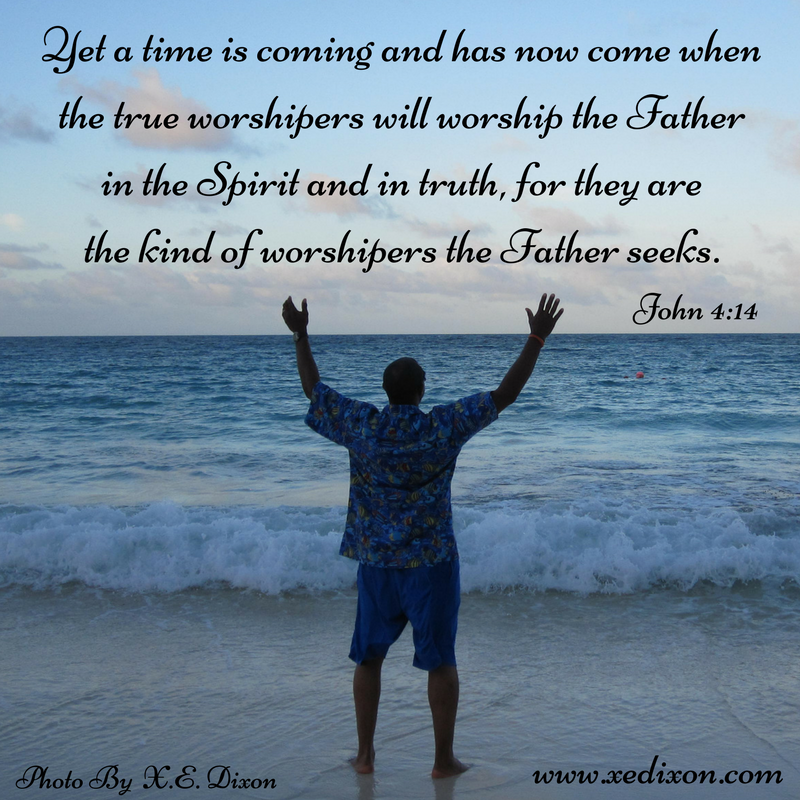 When I finally opened my Bible, prayerfully seeking to meet my Lord face-to-face in the Gospel of John as a string of praise and worship songs played in the background, God wrapped me in His truth. 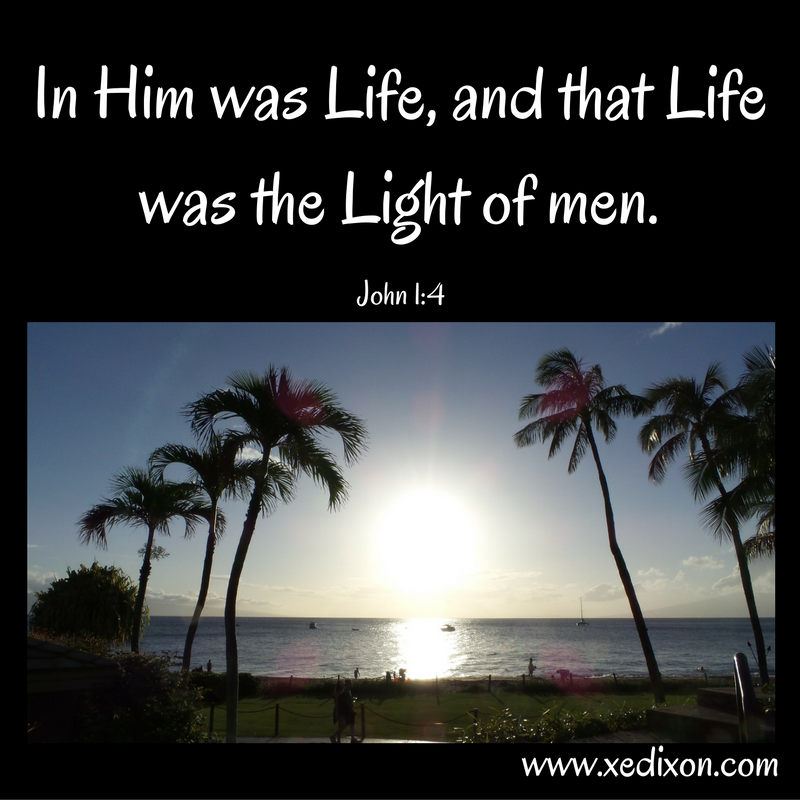 “In him was life, and that life was the light of men. The light shines in the darkness, but the darkness has not understood it” (John 1:4-5). In Jesus was zōē, both physical and spiritual life. “In him . . .” Not apart from Him, beside Him, or around Him. Jesus is the life, the source of life, the maker and sustainer of life, not just an example of the way Christians should live. I allowed the possibility of living with chronic pain to determine the value of my life. I failed to acknowledge that the quality of my life is not, and never will be, determined by my circumstances or my feelings. I forgot that, as a follower of Christ, the life I should desire is rooted in Christ, devoted to Christ, purposed for Christ, and abundant through Christ. My life in Christ, by His power and mercy, could be a light for others, a shining example of hope for others. Because my hope remains secure in the Light of the World, even as I process my emotions and endure the sufferings and afflictions that can affect life on this side of eternity. My sin had me walking in darkness. My sins? Pride, thinking God owed me comfort and relief. Idolatry, placing my wants over God’s purpose. Pride, believing I deserved a life without suffering. Idolatry, believing a good God would never allow me, his precious daughter, to endure pain. Pride, actually believing my measure of faith is based on my power, or that my ability or inability to trust Him could ever determine God’s limitless power and abilities. When I allow pride and idolatry to lead me, I live as if God’s goodness is determined through how many times I get my way, or how often He saves me from pain, grief, struggle, and even the consequences of my own sins. I had been treating God like a vending machine, a tool to make me happy or satisfy my flesh, a servant I called Father, only if I could manipulate Him to get my way. Our loving God weeps with us when we grieve (John 11:35). He empowers us to live with an eternal perspective (John 16:33). He wants us to know Him, intimately, so we can trust Him implicitly (John 17:26). He is able to do above and beyond all we can ever imagine (Ephesians 3:20). But His purposes do not revolve around our desire for instant gratification or pain-free existence on this side of eternity. He loves all of His children. His plan includes all of His children. We are interdependent and totally dependent on Him. I can hardly wait to explore more about His purpose, and how we all play special parts in His perfect plan, as we continue to seek Jesus face-to-face through eyes of John−the disciple He loved. When I started this series a couple of weeks ago, I never imagined the Lord would be using it to carry me through another tough season of transition. I know God can heal me in an instant. I also know He’s good and faithful and worthy of all my praise, even if He chooses not to heal me on this side of eternity. I just needed the reminder that there is no way our suffering could ever compare to what Christ suffered on the cross for those He loved, for those He called to become children of God. Yet, in the midst of suffering and affliction, it’s so easy to take our eyes off the Light and give darkness too much attention, too much credit, too much power. All things were made through Jesus and by Jesus and for Jesus (John 1:3), so we can trust all things have been purposed for God’s glory, including our times of obscurity. When we’re tempted to fall apart or give up, the Light of Christ seeps into our circumstances and destroys the darkness that threatens to overtake us, if we allow Him to do His work His way and for His glory. When we see through the light of His perfect love, even in our most painful seasons, we can look beyond ourselves, beyond our current circumstances, beyond our fickle feelings, and beyond our sinful tendencies to place self on the throne of our lives instead of allowing God to reign. As we share His love and His truth, Jesus shines in us and through us. We can support and encourage one another, experiencing the beautiful ways His Light becomes the light of men. Yes, even when life hurts, even as we process like I’m still doing, Jesus−the Light of the World−illuminates our minds and secures our way, because He is and always will be The Way, The Truth, and The Life. Why is it often hard to accept personal suffering as a part of God’s loving plan, even though Jesus Himself chose to suffer so that He could give us Life in Him? If you don’t know Jesus, yet, or if you want to know Him and trust Him more, I encourage you to join me next week for “A Witness to the Light,” asking God to meet us face to face and transform us from head to heart. If you’re new to the series and would like to see what God has been doing, please join me for “The Invitation.” I look forward to growing with you.